Burton manager Nigel Clough made an eventful return to the City Ground as a double from Britt Assombalonga lifted Nottingham Forest to a 4-3 victory. On the opening weekend of the Sky Bet Championship, it was Forest boss Philippe Montanier celebrating and Clough wondering what might have been. Goals from Lucas Akins and Lloyd Dyer had given the Brewers a 2-1 lead by the half-hour mark, after Assombalonga put the home side ahead. 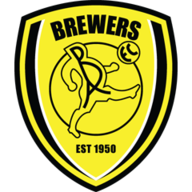 But Burton's first appearance in the Championship - and their first clash with Clough's former club Forest - was to end in defeat, as Thomas Lam lashed home an equaliser, before a second-half goals from Oliver Burke and Assombalonga's second appeared to give Forest a comfortable cushion. Substitute Tom Naylor glanced home a 90th-minute header, from a Hamza Choudhury cross, to ensure a nervous finish. 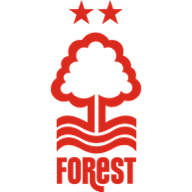 Forest had been forced into a change after 20 minutes, when goalkeeper Dorus de Vries landed awkwardly, perhaps with one eye on Akins, who was flying in to challenge. It meant a debut for summer signing Stephen Henderson, off the bench. But three minutes later, the Reds were ahead. With half the team still protesting that Forest should have had a penalty for a shove on Matt Mills, the ball broke to Jorge Grant in the box. His low shot was only half blocked, with the ball rolling through to the alert Assombalonga who prodded home at the far post. Burke was a whisker away from making it 2-0, when he created the room for a shot but saw his low effort fizz just wide. Burton then turned the tide, in the space of just three minutes. Firstly Akins powered home from a few yards after Kyle McFadzean had knocked the ball down into his path, to make it 1-1 in the 27th minute. On the half-hour mark, Burton struck again to leave Forest shell-shocked. Former Forest man Chris O'Grady was at the heart of it, exchanging passes with Dyer, leaving the experienced winger to slot a low finish into the corner from just inside the box. O'Grady was then close with a low effort of his own. The home side carved out a number of half chances to level and the equalising goal came in the second minute of first-half injury time, when Osborn's short corner routine found Lam with room to shoot on the periphery of the box - and the defender found the bottom corner with impressive accuracy. Forest introduced Olympiacos midfielder Pajtim Kasami - signed on loan this week - at half-time. And his first touch was a shot from a free-kick. His first strike was blocked and his second was deflected to Burke, who flashed a shot into the bottom far corner to put Forest ahead four minutes after the break. Mills produced a superb block to deny O'Grady, who was also thwarted in similar fashion by Hildeberto Pereira, as Forest resisted. The hosts scored a fourth as Assombalonga pounced from close range in the 78th minute, after Pereira's shot had taken a looping deflection. The action was still not over, with Naylor narrowing the gap, but Burton fell just short of snatching a point in the dying moments, as Ben Turner headed agonisingly across the face of goal.